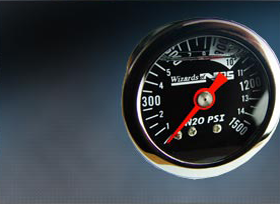 With over 30 years of experience in producing groundbreaking Nitrous Oxide Systems (NOS), you confidently put your trust in the Wizards of NOS (WON) to expertly set up a bespoke Nitrous system for your vehicle. 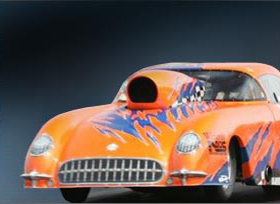 We cater to customers with big block motors, pro mod drag racing systems and of course street car nitrous kits. You may remember the episode of the BBC's Top Gear when they raced an old beat up Jaguar XJS packed with nitrous, against some of the worlds best supercars...that was us! We set up one of our Direct-Port Nitrous Systems in the car and it was our managing director, Trevor Langfield doing the driving. To see the full video and more, check out our Video Gallery. 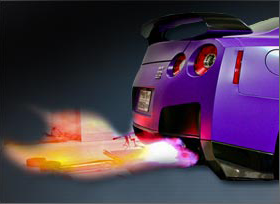 We're pioneers in the Nitrous tuning industry and we don't just say it - we can prove it. Please take a moment to read about our revolutionary REVO system, our sophisticated X10 Nitrous Solenoid and our class-leading Progressive Nitrous Controllers. Find out more about the MGB V8 that's aiming to make 700hp with the help of one of our Nitrous systems. Blasting to a top speed of 219.5mph, from a standing start over one-mile, at the Straightliners event at Elvington airfield, near York, Bland’s normally-aspirated stretched Busa, makes a staggering 550bhp and 400ftlb of torque when the nitrous comes in at full throttle. 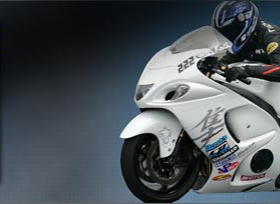 The previous record of 217mph was set in 2000 by Richard Albans. Ransom Holbrook destroys his own standing mile world record at 244mph! Another Pro Mod Bike Owner (Jerry Cooper) reaps rewards from junking NX solenoids in favour of WON! One of WON’s latest converts, Jerry Cooper who’s the team manager of the Pro Mod bike ridden by Richard Gadson, qualified 5th out of 19 at the 9th/10th March Rockingham race event and won his first round of eliminations, before losing in the next round by a gnats whisker of just 0.008 sec. 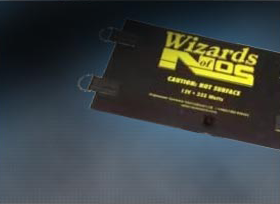 With an intensive and cutting edge nitrous R&D program, the Wizards of NOS continue to produce even more technically advanced, more powerful, more reliable and safer NOS nitrous oxide systems than ever before. And although the revolutionary REVO NOS nitrous system, exclusive to the Wizards of NOS, with its seamlessly smooth progressive power delivery, is the most advanced NOS technology in the world, this has not stopped WON continuing to advance pulsed progressive technology even further. 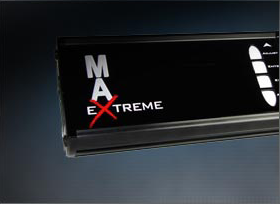 This continued advancement has seen WON recently launch the worlds most advanced nitrous solenoid; the new X-10 nitrous solenoid (Pulsoid) along with the world's most advanced nitrous controller, the all new Max Extreme V2. 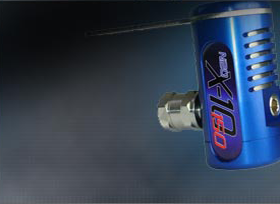 Our newly developed and recently introduced X-10 nitrous solenoid (Pulsoid) and Max Extreme V2 take pulsed nitrous technology and nitrous solenoid design to a whole new level. 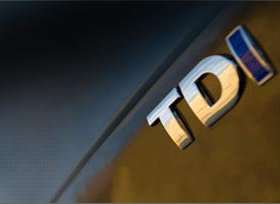 Our increasingly efficient components also lead to impressive savings in nitrous oxide consumption and as a result, less fuel is used to make the power due to a more accurate mixture control. So the NOS Wizards deliver you superior power with superior economy. What could be better? WON are continuing to push their research and development as far as humanly possible, providing all their customers with all the benefits from the very best NOS technology in the market. So Which Wizards of NOS Nitrous Kit is Best For Me? To find out which components are best for your own nitrous installation, feel free to call us on 01302 834343 to discuss your options. Alternatively complete the enquiry form on our contacts page with as much information as you can for a FREE bespoke, vehicle specific quotation. How Do I Place An Order with Wizards of NOS? To order from our website please hover over / click the appropriate category and select the products you require. Our online shop is highly efficient and we will receive your order in real time. You can also phone us to discuss and place your order on 01302 834343 during normal working hours.